Rosemary Mitchell-Schuitevoerder is a freelance translator and interpreter of English and Dutch, and translator from Swedish, Norwegian, Danish into English or Dutch. She is also a part time teacher of Dutch at the Newcastle Business School and a council member of the Chartered Institute of Linguists. Her translation work explores commercial texts and educational textbooks. 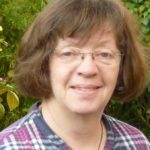 She is involved in a regional translators group, as well as the Tynedale EU interest group to raise an awareness of the wide range of cultural activity and influence EU citizens bring to our society.